The Chelsea Mirror is made from the finest possible materials and matches our popular Chelsea Black Vanities. Can also be used in all areas of the home. The Madison 36 in. X 32 in. Poplar framed mirror features a Light Espresso finish with strong decorative lines. It matches the Madison vanities for a coordinated look and includes mounting hardware that makes levelling easy. The mirror hangs horizontally and vertically. Inspired by the refined culture and style of New England, the Providence collection offers timeless design that always looks fresh. The subtle design elements of Providence give your bath a look of inviting charm and effortless style. The Portland 30-inch modern bathroom vanity cabinet has a white quartz top and designer porcelain sink for a clean look. For storage, it has three functional pullout drawers with stylish satin nickel finished hardware. The mirror doubles as a 3-door medicine cabinet to further accommodate your bath essentials. Chelsea 32 Inch x 34 Inch Black Large Bath Vanity Décor Mirror The Chelsea Mirror is made from the finest possible materials and matches our popular Chelsea Black Vanities. Can also be used in all areas of the home. 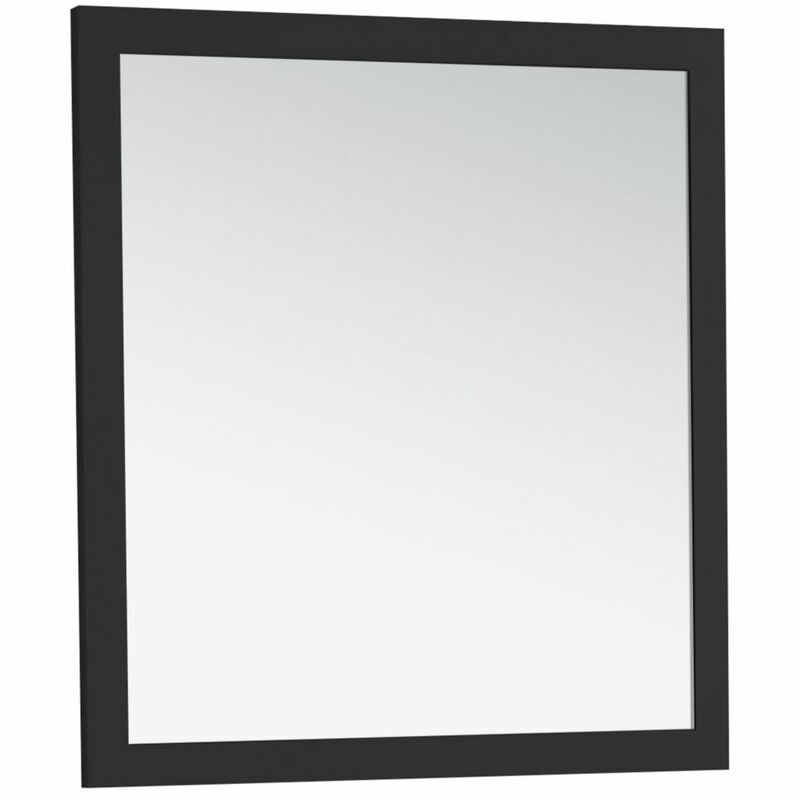 Chelsea 32 Inch x 34 Inch Black Large Bath Vanity Décor Mirror is rated 3.3 out of 5 by 3. Rated 4 out of 5 by Pete from I was concerned about having a mirror shipped to me but it was delivered in perfect condition. Th... I was concerned about having a mirror shipped to me but it was delivered in perfect condition. The mirror was exactly what I expected and worked well with the overall remodel of our bathroom. Rated 4 out of 5 by Mtar from The mirror itself is great, and mounted nice and flush... The mirror itself is great, and mounted nice and flush to the wall. However the wood frame seems fairly “builder grade” Overall happy with the purchase. Rated 2 out of 5 by Billie from Substandard packaging resulted in damage to corners. Soft wood dents... Substandard packaging resulted in damage to corners. Soft wood dents and scratches easily. Too hard to return but wouldn't buy again.